My Story is a series of documentaries made with people attending Meadowpark Day Centre in Haverfordwest, Pembrokeshire. Filmed in the autumn of 2013, each of the five films provides a platform for one of the participants to talk about their life and what has been important to them. Whilst each film is personal and unique, they also share themes of love and loss, how the war shaped their early lives, the importance of family in a rapidly changing world and the value of health and social care services as they move into their ninth and tenth decades. A brief synopsis is provided for each of the films along with approximate timings. Kathleen discusses how she settled in Pembrokeshire after moving from her home in Guernsey, when her husband died 12 years ago, and the value of friendship in these transitions. 2:16 Challenges media representations of older people as being dependent and unable to look after themselves. 4:20 The secret to enjoying older life and the importance of living within your means. 6:18 Experience of evacuating rural Guernsey during World War 2, and arriving in industrial Yorkshire. 9:05 Lessons for the next generation: Get on with it! Born in February 1915, in West Kilburn Harry reflects on the passing of time. 1:45 Harry describes his early life, being brought up by his mother and grandmother after leaving his father aged 8. 2:45 How the war impacted on Harry’s living situation. 3:06 Finding career as an organ builder, aged 14 years. 5:06 Harry met his wife when he was posted in Haverfordwest during the war. Here he describes his married life and returning to Haverfordwest to retire. 6:21 From Canterbury Cathedral to a University campus in Massachusetts, USA Harry describes how varied his working-life was. 8:23 Harry reflects on the effect of the modern decline in church-goers on the organ building business, and the next generation of organ builders. 9:40 Harry describes his busy retirement, and how he transferred his professional skills to make his own furniture. Born in a shepherd’s cottage in Beachy Head, Sussex, George is 92. Here he describes his early life in rural Sussex, until the death of his father meant that his family moved to London. 1:55 Moving every time his stepfather got a new job, George recounts the amount of new schools and homes he has had to get used to over his lifetime. 2:40 Spending his early years on a rural estate, George reflects on his education compared to the current education system and suggests a need for change. 4:30 Reflections on the modern world, and the value of ‘slowing down’. 5:54 One of the greatest changes in George’s lifetime was the introduction the National health Service. Here he describes the value of the local health service and hospitals in helping him through ill health, and criticises cuts to health services in Pembrokeshire. 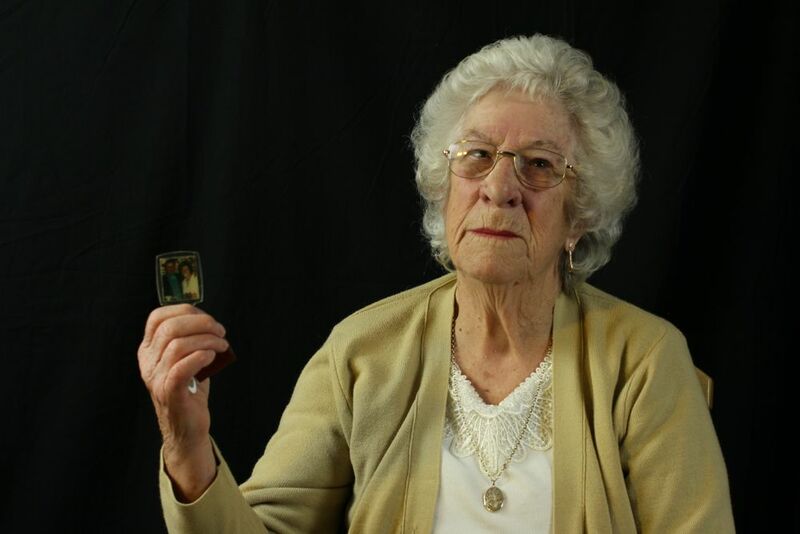 Known as Niele, Eleanor was born in Cross Farm Villiage, Pembrokeshire 86 years ago, where she lived until moving to Haverfordwest when she was married to a local school teacher. 2:56 Reflecting on her own experience in hospital, Niele feels that there is room for improvement. She also highlights why many older people are reluctant to criticise local health services. 4:46 Niele recognises the challenges faced by carers and the work they do. 5:43 Niele highlights the problem of loneliness for older people, and what might be done to help. 7:18 Niele outlines the ideal qualities that a carer should have, and reflects positively on the value of the care and travel services she receives. Betty, 82 remembers her upbringing with her 2 siblings by their grandmother, and the sense of family and community that she fostered. 3:48 Betty reflects on what has changed over her lifetime, especially the value of money and standard of living. 4:34 The importance of staying in contact with family as a support network, and missing family when they move away. 7:55 The value of using the telephone and modern technology to keep in touch with friends and family to ease loneliness.